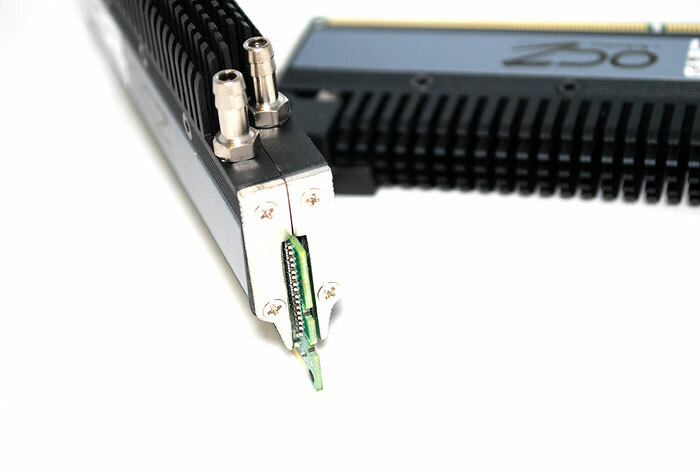 * Qualified on XFX and EVGA 790i motherboards. 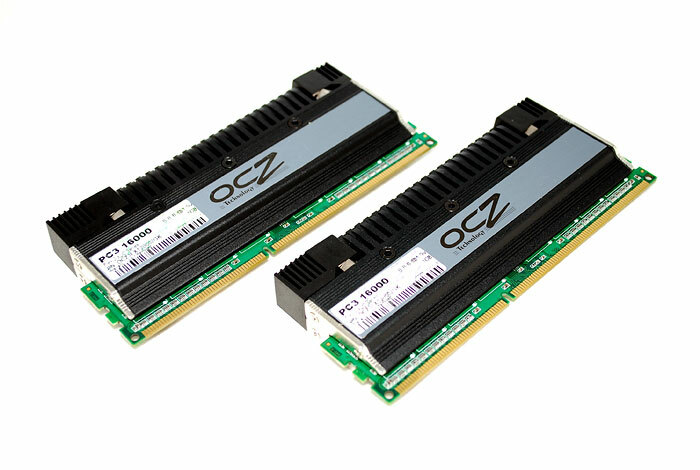 All Modules are tested in two module kits. Due to additional bus load, four module configurations may have to be run at lower frequency and relaxed latencies for stable operation. 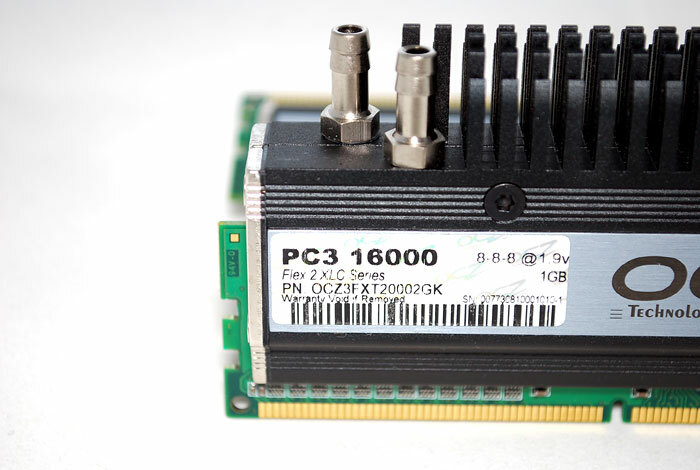 Test specifications are based on dual core CPUs only. 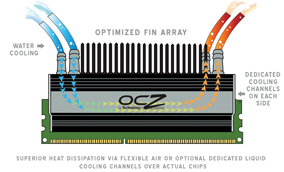 If quad core CPUs are used, higher bus thresholds and core arbitration may necessitate lowering the memory frequency below tested specs.Test specifications are based on dual core CPUs only. If quad core CPUs are used, higher bus thresholds and core arbitration may necessitate lowering the memory frequency below tested specs. 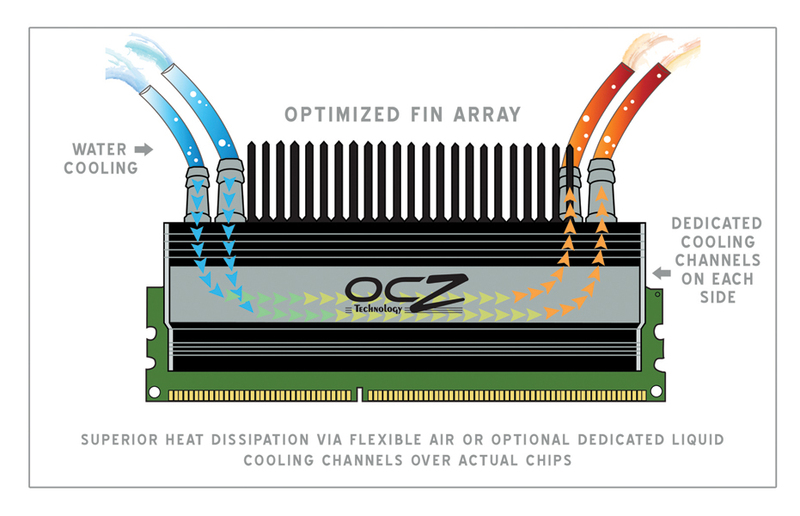 ** The new OCZ Flex II XLC (Xtreme Liquid Convention) heatsink delivers superior heat dissipation via the integrated pure aluminum heatsink and dedicated double liquid cooling channels directly over the module’s ICs. 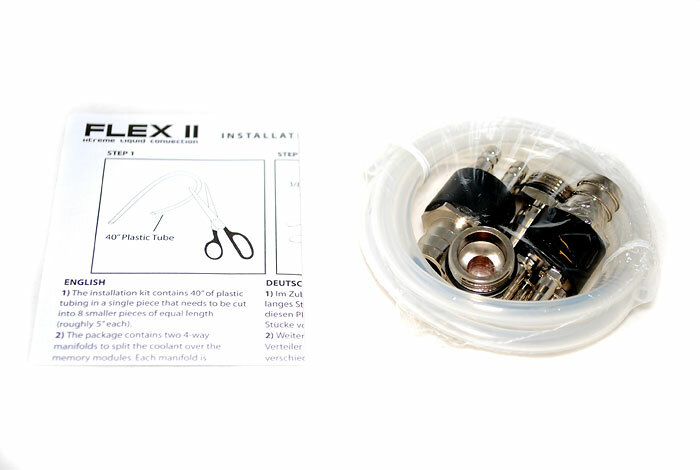 The Flex II module was engineered with this unique “flexible” design to give enthusiasts the unparalleled option to run the modules passively or water cooled. 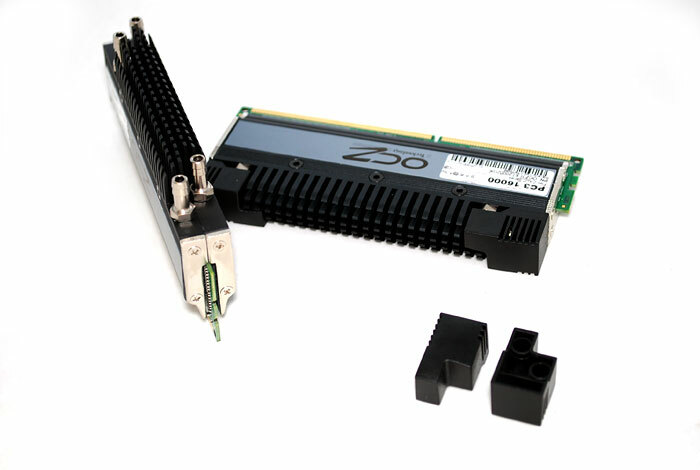 The concurrent use of both technologies promotes maximum heat dissipation and pushes thermal management of memory modules one step further to keep up with the ever-increasing frequency demands. 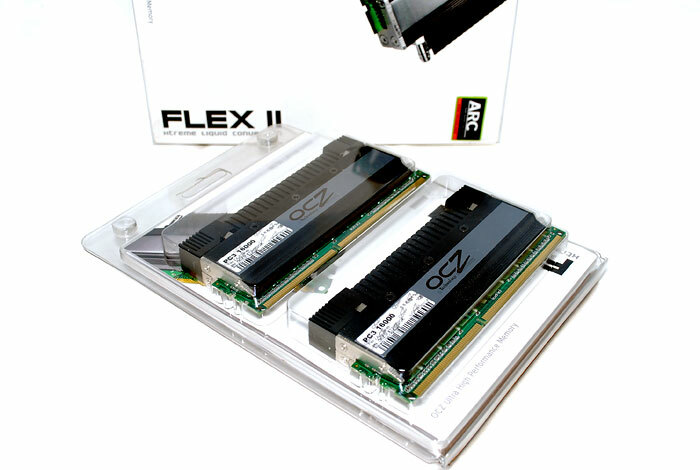 Flex II modules seamlessly co-migrate with any system upgrade to liquid cooling. 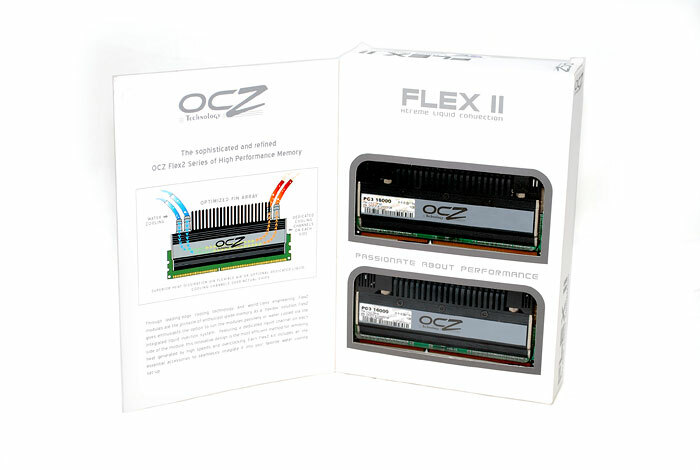 *** OCZ EVP (Extended Voltage Protection) is a feature that allows performance enthusiasts to use a VDIMM of 1.95V without invalidating their OCZ Lifetime Warranty.